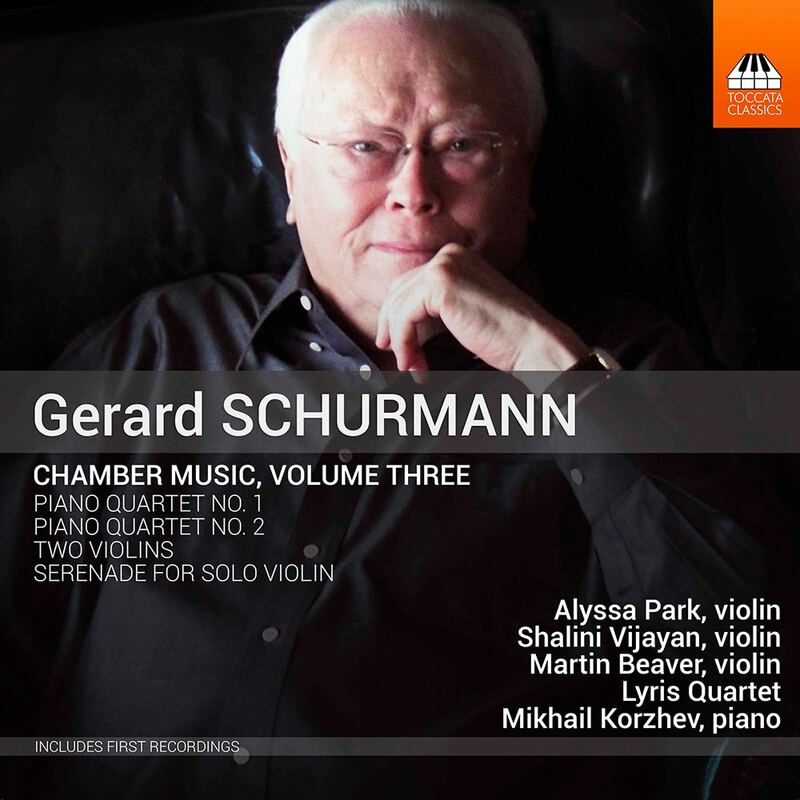 This release brings together several works for strings by contemporary composer Gerard Schurmann. Born in Indonesia (then the Dutch East Indies) and now residing in Los Angeles, Schurmann's often intense and sometimes dissonant music is performed with vivacity by the Lyris Quartet (Piano Quartet Nos. 1 and 2) and violinists Martin Beaver (Serenade for Solo Violin), Alyssa Park and Shalini Vijayan (2 Violins).